It won’t come as any surprise to HS2 watchers that the organisation’s Chairman is to quit. To observers it seemed that Sir David Higgins had been heading for the exit sign for some time. Not long ago Sir David was pleading for political consensus to keep the project on track, when all main parties had been unswervingly behind the project since approval in January, 2012. HS2 Ltd also lost its Chief Executive, Simon Kirby a few months back. Only this week, Sir David gave a typically robust performance in front of the Transport Select Committee. One key revelation was that Sheffield’s flooding problems prevented plans to open a new HS2 station in the city centre. In July the Meadowhall option had been ditched with a spur running to the city centre from the new route as it passed through South Yorkshire. Speaking to the Transport Committee, Sir David said that ‘massive expenditure’ would have been required to make such a line viable to either the existing Sheffield Midland station or a reopened Sheffield Victoria station. Sir David said detailed discussions had taken place with Sheffield Council leaders and the city’s business community to explain a new city centre station would not work. “It took a long time to debate with Sheffield to convince them that we couldn’t put a high speed line through Sheffield itself because of flooding,” he said. “We could never secure the line going through Sheffield Midland or Sheffield Victoria. Sheffield Victoria just didn’t work without massive expenditure to make that flood-proof. “You would have to basically build a box through the middle of the area there. It caused us to rethink again and go back and look at the original schemes. “The more and more work we did on the proposed Meadowhall route, the more difficulties we found,” he said. The HS2 chairman said the alternative currently under consideration – a line involving a 5.5 mile ‘spur’ into Sheffield’s existing railway station – off a route running closer to Rotherham and Doncaster will be around £900m cheaper than the Meadowhall option. Official HS2 reports published earlier this year said there was ‘significant risk of flooding’ associated with constructing a new railway to the Sheffield Midland station, as it sits in the flood plain of both the River Sheaf and the Porter Brook. HS2 said plans for a Victoria station would ‘potentially require an additional four major river diversions compared to a route serving Meadowhall, and result in major flood risks associated with the River Don’. It estimated the Midland option would cost £2bn more than Meadowhall and Victoria £700m extra, while the spur option would be hundreds of millions cheaper. However, the spur idea will see it take 83 minutes to get to London instead of the 66 minutes it would be if the Midland option had been selected. The spur idea also cuts journey times between London and Leeds with no stops in South Yorkshire – raising concerns Sheffield could be left behind its northern rival in terms of potential economic benefits from HS2. The comments amounted to a comprehensive dismantling of HS2 LTd’s original plans to persevere with a station at Meadowhall in the face of strong opposition. In 2015 Sir David had told a Lords Select Committee that he favoured the Meadowhall option as taking the line into the city centre would add six minutes to the journey time to London. Rather than a few minutes here or there, the actual issues proved to be far more fundamental. A knotty problem indeed and one the Chairman can soon wave goodbye to as he heads off for new challenges, away from that troublesome high-speed line. Bosses of airports along the route of HS2 are understood to be angry that Sir David Higgins will join Gatwick while key decisions over the rail line are still to be made…. Sources told The Times of a potential conflict of interest, with Sir David being given access to highly sensitive information over their passenger forecasts while working for Gatwick. I’m not surprised they’re all corrupt. The lovely village I live in will be totally surrounded by this mad scheme. When I went to an HS2 meeting a few months back I asked one of their representatives how and why they had chosen this route. Their answer was “A best fit line was draw through a map”. “Any surveying been done” I asked. “No, not as yet” was their reply. They’re just fat cat cowboys ruining many local communities and the lives of those that live in them. Do they care? Do they care about the poor tax payer who has to fund this madness? The only thing they care about is lining their own pockets and when their incompetence is becomes apparent they walk away laughing all the way to the bank. If this scheme does go ahead the vast cost will be a burden on future generations for years to come. I voted Tory at the last election. I’ll never vote for them again! Is there insufficient funding for the assurances and the relocation and the compensation agreements that the hundreds of petitioners and people directly affected were expecting. There are agreements not being concluded. Why is this. The MPs and the Lords need to determine what is make believe and dysfunctional an what is required. HS2 is not providing evidence of what the contractors are being instructed or not instructed to do for each section, parcel and assurance. There are wide gaps of differences and inconsistencies emerging. 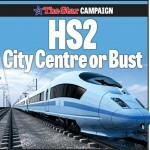 Is HS2 about to fail because of the lack of funding that is indicated by the poor mitigation measures in the HOC and HOL SC reports. Come on Mrs May and Mr Grayling and Nr Hammond and declare how little funding there really is for this poorly executed project please. Where are the protests from Birmingham and Manchester airports?